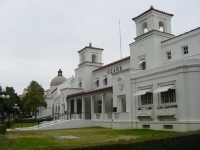 Little Rock is a springboard to the many natural wonders of the region, but the city also boasts some interesting attractions. 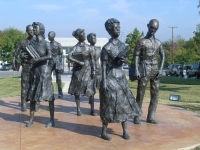 One of Little Rock's prime tourist sites hearkens back to the turbulent Civil Rights Movement: Little Rock Central High School, now a National Historic Site with a memorial and visitor's centre, attracts many visitors keen to commemorate the brave Little Rock Nine. 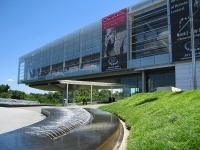 For lovers of politics, The Clinton Presidential Center is fascinating, and the Arkansas Governor's Mansion beckons history buffs. 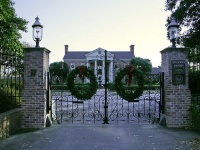 Visit the oldest surviving Capitol building west of the Mississippi; shop for unique antiques and trinkets around town; take a ride on a riverboat down the Arkansas River; enjoy a drive through the picturesque historic Quapaw Quarter; view the Villa Marre, the home featured in the 1990s sitcom, Designing Women; or relish teeing off on a championship golf course. Nature lovers can hook a fish from a world-class trout stream, walk in the scenic Ouachita Mountains where the Hot Springs National Park awaits, or enjoy breathtaking views, pristine lakes, rivers and vast underground caverns in the Ozark Mountains and River Valley. Especially worthwhile for nature lovers, the city of Little Rock is worth a visit for all who visit Arkansas.